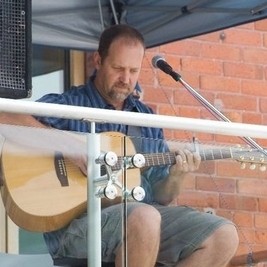 Brian Wride - Guitar - June 30, 2012 - Stouffville Strawberry Festival, "Guitars in the Gazebo" The York Region Fingerstyle Guitar Association returned to the Gazebo for its "showcase" this year - a smaller, more intimate setting - and people actually stopped to listen! 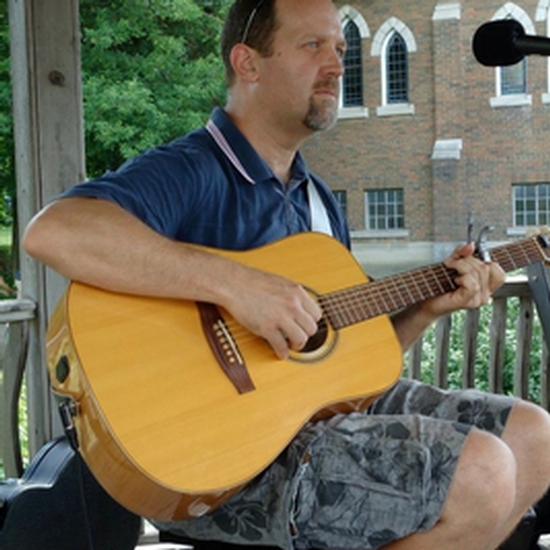 June 30, 2012 - Stouffville Strawberry Festival, "Guitars in the Gazebo" The York Region Fingerstyle Guitar Association returned to the Gazebo for its "showcase" this year - a smaller, more intimate setting - and people actually stopped to listen! I started playing guitar around 1977. Lately, for the most part, I play instrumental fingerstyle guitar. 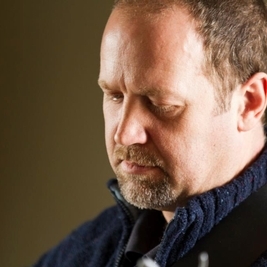 My repertoire is quite varied, covering classical, ragtime, Celtic, and contemporary fingerstyle guitar pieces. 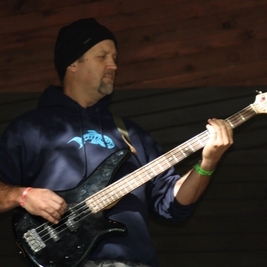 In 2011, I started playing bass when I was asked to help out with a musical at my kids' school. Had a ball! 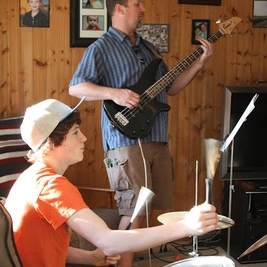 A year later, a regular jam turned into a band when a local singer asked us to accompany her at the local fall fair - we formed Parental Discretion (so named because we're all parents at the same school) and I play bass. You can check out our facebook page at http://www.facebook.com/ParentalDiscretionBand . 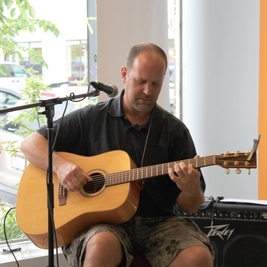 My main instrument is a Simon & Patrick flame maple acoustic guitar. I also have a LaPatrie classical guitar and a Yamaha bass, among others. Growing up, aside from my guitar teacher, Al LaLonde, my main influences were David Lindley and Joe Walsh. Currently I am a fan of Pete Huttlinger and Bob Evans. 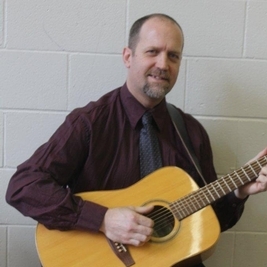 I also occasionally perform as a solo instrumental guitarist: If you would like to book me for your event, please call 905-852-6131. The music I play is suitable for weddings, street festivals/busking, seniors' residences, and as background for fine dining. 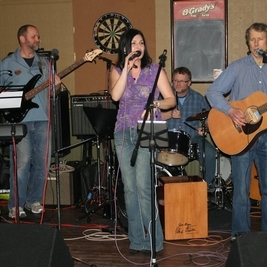 As a soloist, there were probably several hundred within earshot at the Stouffville Strawberry Festival in 2011, but probably only a handful were actually listening. Probably the largest audience that was actually listening was about 100 or so. As for the smallest, I think that the first time I played at the Sunderland Festival, there were less than half a dozen by the time my turn came up - but one of them was the adjudicator, so I was probably even more nervous than usual. As a band member, I've played in church in front of several hundred people, but most are singing along so probably not listening too closely. When our band plays, we draw about 100-150. Probably one of Johnny's prison concerts - maybe "San Quentin". April 20, 2013 - Ladies' Victorian Tea 2013 I provided background music for a fundraising luncheon for the 2013 Women-2-Women First Nations Mission. 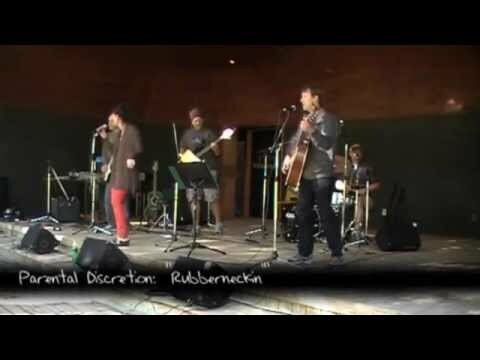 Our band, Parental Discretion, played our first gig at the Uxbridge Fall Fair. The weather cleared as we were setting up and we had a GREAT time! 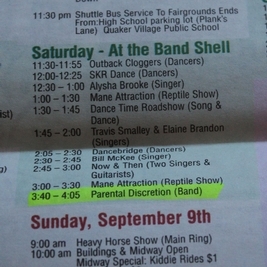 If you're at the Uxbridge Fall Fair this Saturday, our band, Parental Discretion, will be playing a 50 minute set at 3:45 pm. Drop by the bandshell and have a listen - it's our first gig!. June 9, 2012 - Uxbridge Youth Centre, "Guitar Marathon"
"Guitars in the Square" - Stouffville Strawberry Festival - July 2, 2011 With the York Region Fingerstyle Guitar Association at their Guitar Showcase.